By the end of the 1980s, the soul of hot rodding was on its deathbed: battered by chunks of polished billet aluminum, covered in pastel paint and stabbed into its heart with a tilt steering column. But there was hope on the horizon. 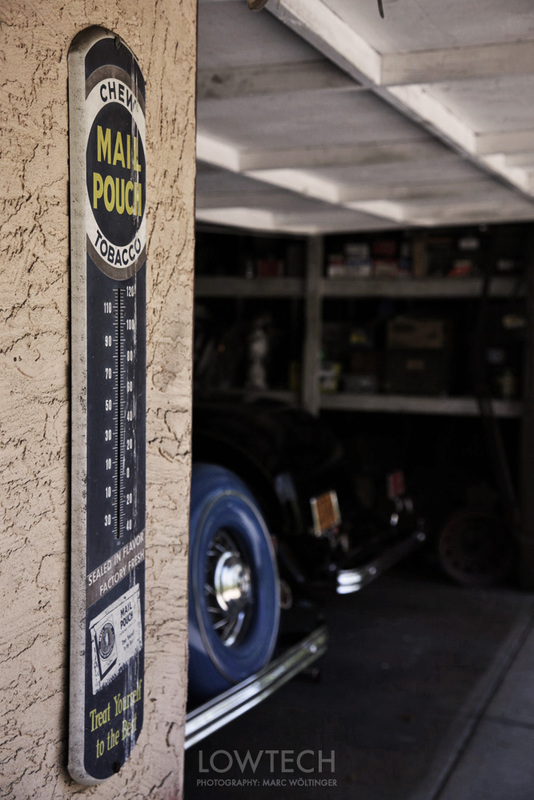 Young hot rodders were discovering old scrapbooks and scavenging shoeboxes in their grandparents’ attics, filled with faded black and white photographs from the dry lakes and the backstreets of Los Angeles. And there was Don Montgomery. 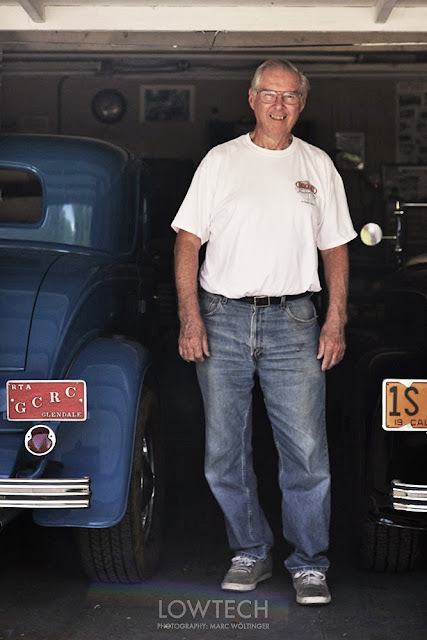 He also had been searching for old pictures from the birth of hot rodding but from time to time he was publishing them in hot rod magazines. He tried to find as much information as possible and being complemented by those stories, the old pictures came back to life again. 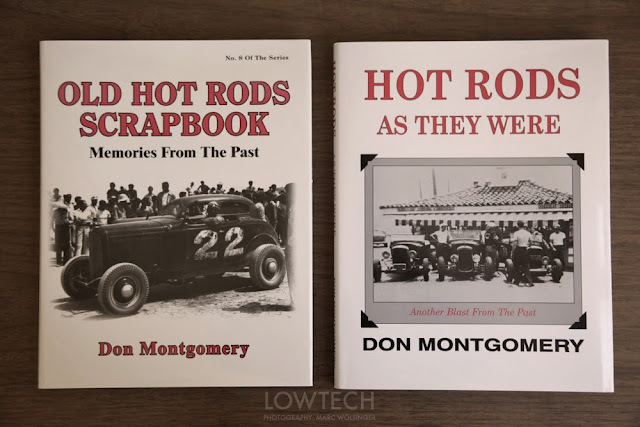 Not only the oldtimers loved Don’s articles, so in 1988, he decided to publish his first book: Hot Rods of the Forties. It was on a Saturday in September 2013 that I got the chance to visit Don Montgomery at his house in Fallbrook, California. Don, your books are full of inspiring pictures from back in the day. Did you take most of the photos? How did you come across most old photos? What was your goal with your books? When looking back, what's your favorite thing about doing these books? 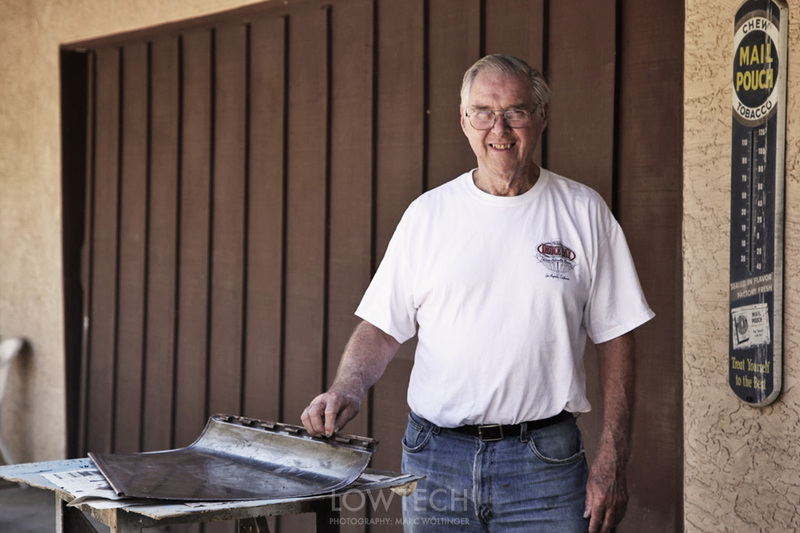 Your books are an amazing resource, Don.